Denny hand carves each saddle for each individual guitar. Denny also adjusts the intonation settings to bring the guitar harmonically in balance with itself. This not only makes your guitar easier to play, but it also makes it sound more powerful. 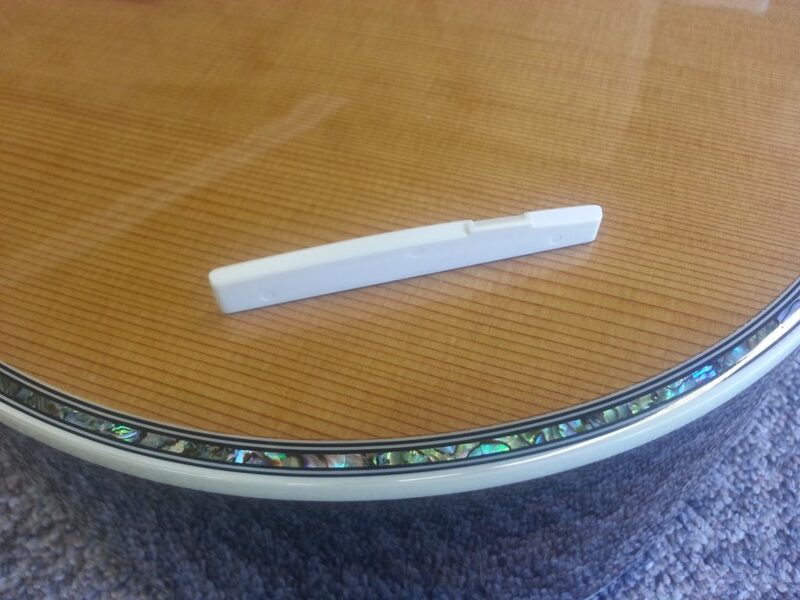 Customers say our guitars fall into tune easier and stay in tune longer…this is one of the reasons why. Denny uses only genuine Tusq brand saddles on his guitars which you generally only find on higher dollar acoustics.